It was a day before Christmas, and my siblings and I wanted to go out after being stuck on our beds watching Netflix for days. It's fortunate for us that malls are open during the holidays, so we flocked to Glorietta and joined people who are still doing their last minute Christmas shopping. Our first order of business? Lunch! 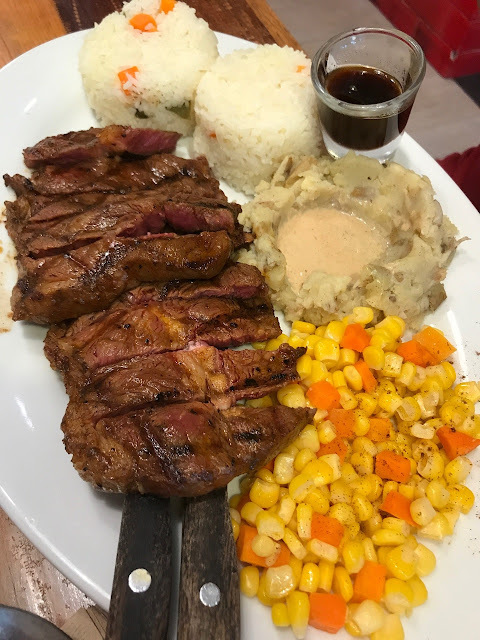 We had a tough time figuring out where we wanted to eat since we've tried almost all the restaurants around Glorietta complex, but it was great that we arrived with a decision before we even finished parking our car. Hello again, Mad Mark's! 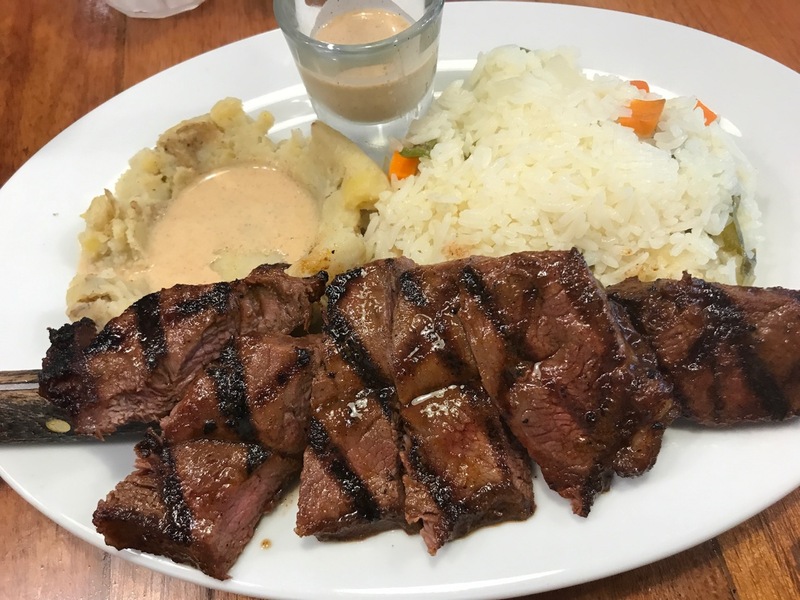 It's been 2 years since I last visited this restaurant, and I'm so glad that this restaurant has always been a reliable one when it comes to my steak cravings! 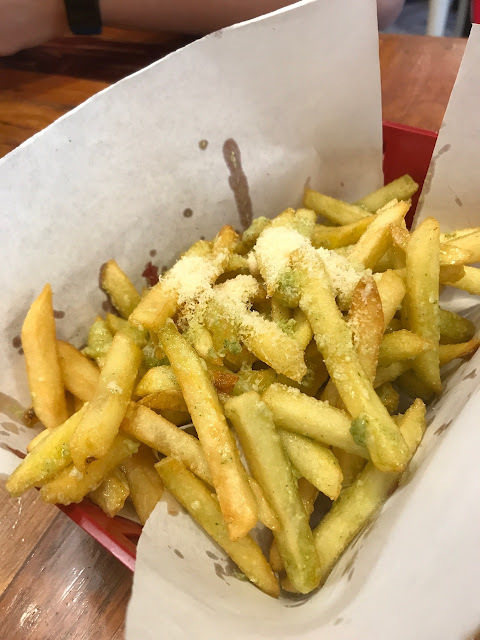 I was looking forward to munching some good ol' fries before our big meal, but the restaurant, sadly, had a lot of items unavailable during our visit, so we had to settle for their herb parmesan fries instead. It's your regular fries topped with pesto sauce and parmesan cheese. It's a great alternative to your favorite fries, but can be a bit overwhelming in the long run. 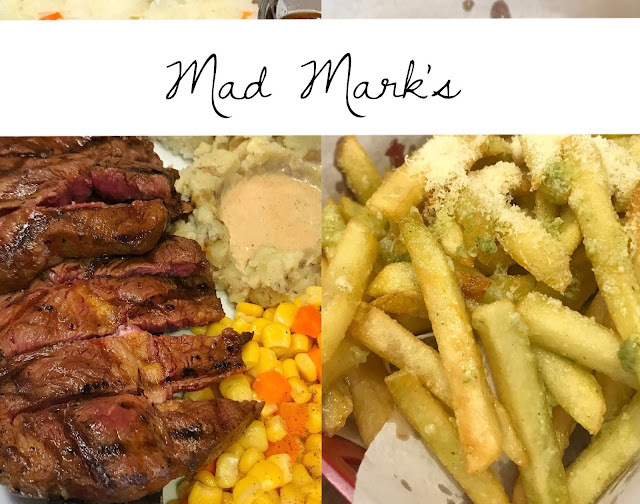 The signature steak is what most folks order in Mad Mark's. It's highly recommended, since its serving size is perfect for a person with an average appetite, plus it's reasonably priced. We love having the garden grains (fried rice with vegetables) and mashed potatoes (with mushroom gravy) as our sides! While I believe the signature steak is good for most people, my brother thinks otherwise. He remembers not being completely happy with an order of the signature steak, so he ordered the steak big plate this time. The steak big plate has two times more steak (300g) than the signature steak (150g) and has 3 sides instead of just 2. He was able to finish the whole plate and found the serving size perfect for his appetite. If you're looking for a place for fairly priced steaks, then Mad Mark's is the one for you. They are also supposedly know for their ice creams, which I would have tried if I still had room for desserts.